We, the Duppy Conquerors, are dedicated to the spirit of Bob Marley’s Music. We have been making our name as the premier tribute to Bob Marley in New England. We aren’t a “tribute band” trying to look and dress like Bob Marley and The Wailers; we are musicians who respect their sound and spirit. With nearly 3/4 of their repertoire under our belts, Duppy Conquerors are the quintessential testimonial to Bob Marley. Named after Bob Marley’s hit song entitled “Duppy Conqueror,” the term Duppy Conqueror means “killer of bad spirits,” and that we are! The Duppy Conquerors will, “Lively up yourself,” as you’re jammin’ to Bob Marley’s music! “(The) Duppy Conquerors are the best Bob Marley tribute I have ever heard!” – Shelley Neill, organizer of the legendary Amandla Festival at Harvard Stadium where Bob Marley and The Wailer’s headlined. Collectively, Duppy Conquerors have performed or shared the stage with: The Wailers, Ziggy Marley, The Skatalites, Jackie Mittoo, U-Roy, Black Uhuru, Mikey Dread, Sugar Minott, Sly & Robbie, Gregory Isaacs, Dennis Brown, Yellowman, Eek-A-Mouse, Steel Pulse, Toots & The Maytals, Roland Alphonso, Leroy “Horsemouth” Wallace, Lloyd Knibb, Laurel Aitken, Lord Tanamo, Gil Scott Heron, Babatunde Olatunji, Richie Havens, and many more! Duppy Conquerors had the pleasure of performing Bob Marley’s entire album “Kaya,” originally released on the Island Records (Tuff Gong/Universal) on it’s re-release date at Redstar Union in Cambridge, MA. We shared the night with our friend, music journalist Steve Morse, who wrote the liner notes for the re-release. Steve consulted with Duppy Conquerors sax player, Jeff Robinson, in preparation and quoted Jeff in the liner notes. At Redstar Union, Steve reminisced fondly about his interviews with Bob Marley. 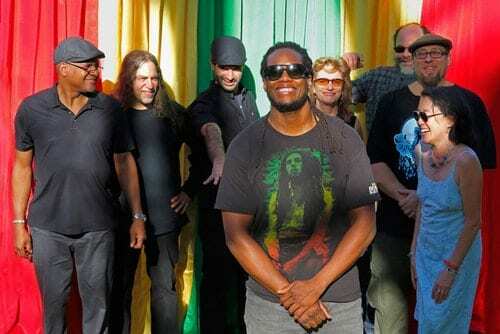 The Duppy Conquerors performed the entire “Kaya” album; portions of the show were streamed live on BobMarley.com and the Boston Globe wrote a preview about the performance. What a night!